Voting is the foundation of our democracy. In today’s tumultuous political climate, protection of our access to the ballot remains as critical as ever. Over the past five years, voter suppression has manifested itself in a variety of ways, including racial and partisan gerrymandering, discriminatory voter ID laws, and the disenfranchisement of millions of voters. NOW is committed to advancing voting rights on both a state and federal level. We are dedicated to providing women–who are disproportionately affected by voter suppression–equal access to the ballot, and electing feminist candidates to office. Voters’ access to the ballot in a number of states is threatened this election season. Midterm elections will impact which party holds a majority in Congress and pave the way for the 2020 presidential elections. Additionally, the 2018 statewide elections will determine the congressional redistricting process. Get involved NOW! Play A Game! What Would You Do To Vote? We take for granted how easy it is to cast our ballot, but for millions of voters this is not the case. NOW’s National Action Team has created a game to explore the challenges many face as they navigate their way to the polls. Click to find out more! Take Action! Sign Our Petition to End Voter Suppression! Every person who is entitled to vote should be able to cast their ballot easily and conveniently. Sign NOW’s petition and protect your right to vote! The Voting Rights Restoration Act (VRRA) is an amendment to the Florida State Constitution that will restore the voting rights of former felons who have committed nonviolent crimes. Learn more about this critical issue! Voter suppression is an issue that effects millions, but none more so than women. Check out our resource on voter suppression as a feminist issue. Learn More: What is Racial Gerrymandering? Racial gerrymandering is a huge issue in our country today. Check out this brief and find out how racial gerrymandering begins, who it affects, and why the problem has become endemic in Republican states around the US. Learn More: Voting Rights Target States! Discriminatory voting policies make it harder- or even impossible- to vote. In this resource, we break down how discriminatory voting tactics impact voters in Voting Rights Target States. 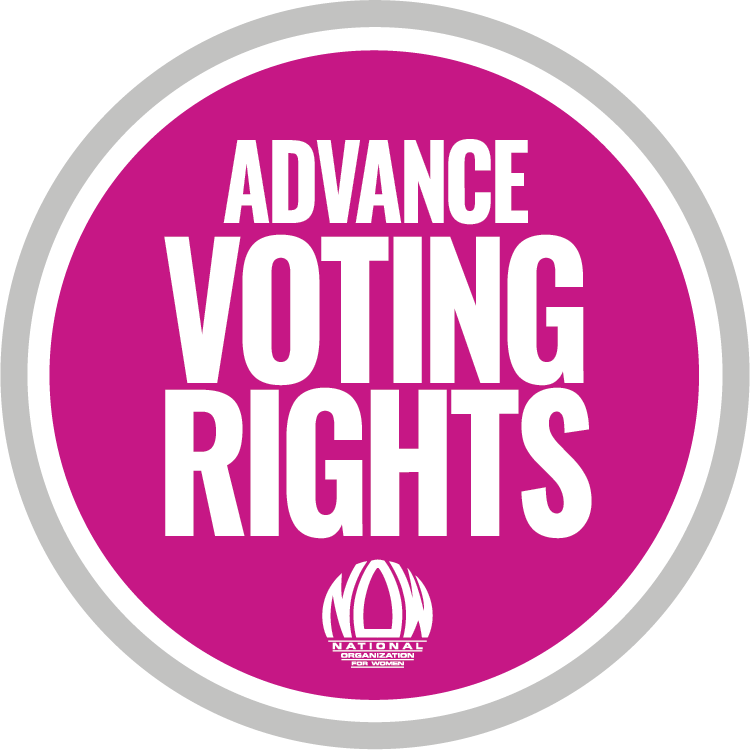 Learn more about voting rights, voter suppression, and women running for elected office! Voting suppression is pervasive across the country. Take a look at our social media toolkit and learn more about how YOU can get involved in the digital world. A complete guide to contemporary voting issues. From racial gerrymandering to the importance of women running for office, we are giving you the 411 on voting rights today!